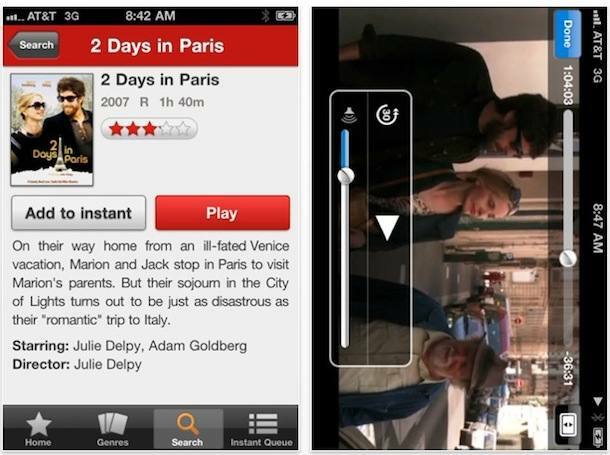 The long awaited Netflix app for iPhone is finally here. It’s a free download and you can sign up for a free trial membership to watch movies, but to really enjoy the perks of Netflix you’ll need to sign up for a membership which runs about $9/month. As expected you can manager your queue and other essential Netflix tasks, but the app is especially cool because it will remember where you left a movie off, allowing you to resume watching it later from your TV, computer, or even iPad. I am a complete Netflix addict so it’s great to finally have it on the iPhone in addition to the iPad (the app also runs on the iPod touch). You can grab Netflix for iPhone from the iTunes app store, no surprise but it is currently the #1 app on the App Store.